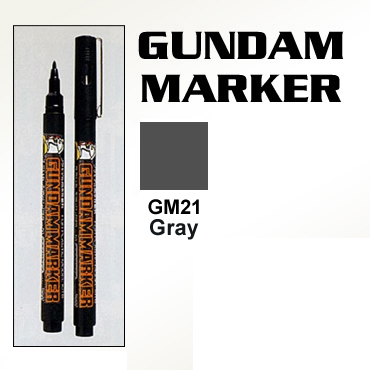 Gundam marker ink drawing brush pen is the ultimate marker for ink drawing the finer engraved lines.It has a brush type pen point, so you can paint any detailed engraved parts.Furthermore, special water-based ink is used, so you can over paint it on Mr. Color or Hobby Color and any paint run off can be wiped off with a cotton bud, etc.This pen has the power to increase the reality of any kind of model. It is a popular brush pen designed to easily recreate the original colors of Gundam and BB Warriors. The fine brush tip is perfect for the finer details, with great color and uses expansive alcohol based paint. Variety of colors in the series, with 6 metalic colors, 3 neon colors, and 7 special colors, a total of 16 colors.